One of the biggest dichotomies that has taken place during the past decade is how Russia has not only been able to avoid economic collapse in the face of U.S. and European sanctions, but actually thrive amid them. And the key to this was to simply ignore trading with the West and focus on opening new markets in China and Eurasia. Unfortunately for China however, it appears that they did not learn this lesson and instead succumbed to hubris in the belief that the 21st century is theirs to command and that they must beat the U.S. rather than simply isolate them to collapse under their own weight of debt. In a stark confirmation that the ongoing trade war with the US is taking its toll, there is a growing feeling within the Chinese government that the outlook for China has “become grim”, according to a government policy advisor, following the deterioration in relations between China and the United States over trade. In the Asian world, surrender (capitulating) or losing face (honor) is something most leaders in the Far East are unwilling to do, even if it means losing the war. Meanwhile, President Trump realizes that self assurance is much more important than what the media, other world leaders, or even the people feel about him, and this gives him a great deal of flexibility that was shown in how he was able to achieve great concessions from North Korea earlier this year. When the Chinese Communist Party in essence made Xi Jinping President for life, and spoke of him in the same light as Mao Tse Tung, it placed Xi in a precarious situation, and not unlike how the Japanese Emperor felt when he made the difficult decision to surrender his nation to the U.S. back in 1945. This means that rather than have the burden of rulership placed evenly amongst the Communist Party itself, all power, responsibility, and inevitably the blame is now squarely upon the shoulders of Xi Jinping, and his honor and legacy is at stake dependent upon the outcome of this showdown with the West. 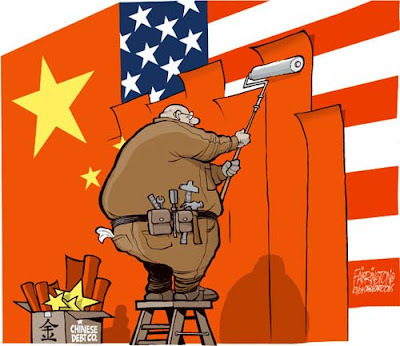 In the end China's biggest mistake will be in giving the U.S. any credence at all, and in being willing to sacrifice their resources and future in their escalating this trade war. Because the lesson that Russia learned from the sanctions they received five years ago was that the West needs both Russia and China much more than they need the U.S. and Europe, and by cultivating new markets and opportunities in places like South America, the Middle East, and in Africa at the expense of America and the EU, it will inevitably force these regions back to the negotiating table as their own economies found out when Russia simply shut off the trade spigot and turned Eastward towards more willing markets.